It’s a sad day in Toyland. One of the great toy retailing icons of the world, FAO Schwarz in New York, is to close. Its owner, Toys ‘R’ Us, which saved the institution from bankruptcy in 2009, has made the decision to call time on the 150 year-old star of multiple movies, including Tom Hanks’ “Big”. As a young management trainee at Hamleys in Regent Street, London, in the late 1980s, I longed to visit FAO Schwarz: even the name sounded glamorous in a uniquely-NYC sort of way. When I made it there, two years later, it actually felt like coming home. Yes there was the intrinsic, New York style; yet the hallowed portal was guarded by a six feet-tall bear, dressed as a Beefeater (or Yeoman Warder, if you will) by authentically British firm Merrythought – just like we had in Regent Street! (Indeed, I subsequently made sure that another of these imposing bears guarded the Tower of London Shop – after some initial grumbles from the real Yeoman Warders, he became a popular photo-opportunity for our Customers). My time at Hamleys was both a roller-coaster ride and, with hindsight, the best business introduction I could have wished for. Owned by Debenhams, along with Harvey Nichols, both stores were run autonomously, albeit under-invested, until Debenhams was itself bought by Ralph Halpern’s Burton Group. Subsequently, Hamleys was sold to “Carpet King” Phil Harris – and the revolution that transformed Hamleys matched that simultaneously being done to High Street fashion retailing by Halpern. For Hamleys, the strategy was to update the Brand, management style and practices and expand the store portfolio as rapidly as possible. Fitch Design was engaged and, in my opinion, created the most beautiful chain of toyshops the world has ever seen. (A big claim, I know, however can you think of a rival claimant?) A legacy of that period is that Fitch is still involved with the Brand. Unfortunately, things quickly started to go wrong, and nearly ended in disaster. There were several factors in this: the store locations (either too big, or in the wrong towns); the cost base (recreating the theatre of Hamleys’ Regent Street flagship required a high density of staff, demonstrations, and stock); and management systems (a new EpoS system failed to register that the expanding group’s stockholding in relation to its sales was around 30% too high). The biggest challenge, however – and this is where our story comes full circle – is that Hamleys’ expansion coincided with the arrival in the UK of a new, aggressive, discount toy retailer – yes, you’ve guessed it – Toys ‘R’ Us! Fortunately (and we’ll save more of the story for another day) Hamleys survived, and goes from strength to strength today, expanding in a more considered way from a booming, always magical, Regent Street. Be clear on what makes you special – your Purpose – and protect it at all costs. Regularly involve your Team in all significant discussions concerning the above: do they understand and nurture your Purpose? And – highly relevant to the Hamleys example – do they perhaps understand it better than you? When planning change – don’t assume you have all the answers, especially if you’re new into the organisation. ask lots of questions; test your assumptions; LISTEN! Identify and target the right markets and the right Customers for your Brand: Hamleys’ cost-heavy business model hit the buffers particularly hard in towns like Luton and Sheffield; here property market wheeler-dealing had distracted the new management from the job of focusing on the Brand and seeking out locations where sufficient of the right demographic could be found. Apply the most ruthless, external as well as internal, no-holds-barred, logic checking to your basic assumptions, your strategy and your financial projections. It is possible that Hamleys’ expansion might have succeeded had this been done. Moreover, per point 3, it’s possible that the incumbent management could have sounded at least one or two alarm bells before it was too late. Of course, there’s a role for a good Coach and/or Consultant in this process too! 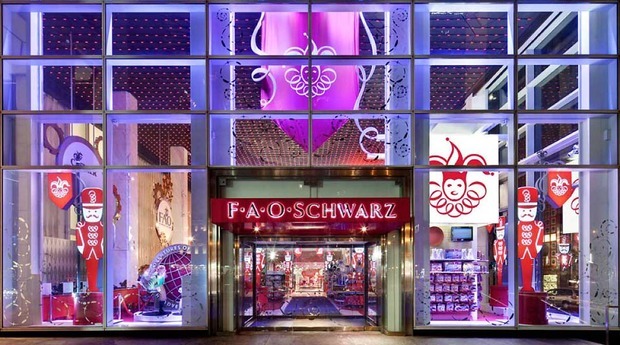 So farewell, FAO Schwarz: I hope, as intimated, that you find another, cheaper home and awaken from your slumber soon. Meanwhile, I hope all those other time-honoured Brands out there are being properly looked after. Thanks for the feedback! What do you blog about?